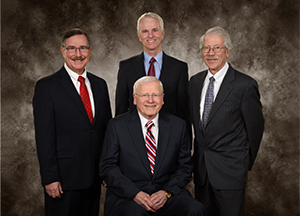 Four Attorneys representing over 150 years of legal experience. Old fashioned values you can trust in the modern age. Contact us today to learn more about our many legal services. Bradley & Faulkner, PC, offers over 150 years of combined legal experience. Our law firm is located in Keene, the county seat of Cheshire County. Our areas of legal expertise include the following: Banking, Business Formation and Reorganization, Business Litigation and Transactions, Civil Litigation, Commercial Financing, Condominium Law, Contracts, Conveyancing, Creditors’ Rights, Criminal, Divorce, Employment, Estate Planning, Family Business Succession, Family Law, Guardianships, Insurance, Land Use, Landlord/Tenant, Municipal Law, Personal Injury, Probate Administration, Real Estate, Residential/Commercial Closings, Tax Abatements, Trusts, Wills, Worker’s Compensation and Zoning.